I had a little time this weekend to finally get back to my Vancouver v-neck. 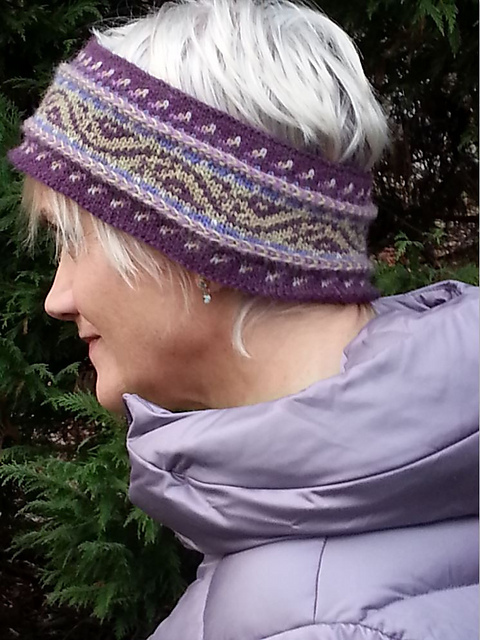 The solid portions make for great spectator knitting but, boy, am I ever happy to be back into colorwork! 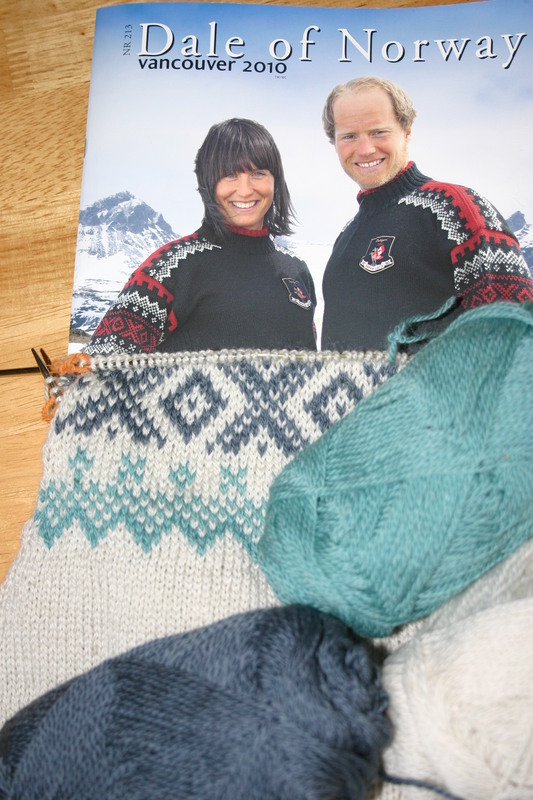 This entry was posted in Knitting, New From Dale of Norway, Uncategorized and tagged circular knitting, Dale, Dale of Norway, Dalegarn, daletta, knit, Knitting, Olympic, sweater, v-neck, Vancouver, Vancouver 2010, yarn. Bookmark the permalink. 2 Responses to Vancouver – Back at it!